China is an economic behemoth on the global platform. It is the second largest economy in the world, and is already the largest economy in purchasing-power-parity (PPP) terms. It is one of the largest international manufacturing hubs, and is expected to carry the world’s economic growth in the medium to long-term. This dominance on the global stage is beginning to translate to a similar supremacy among financial markets. China currently houses two of the largest stock exchanges in emerging markets. The Shanghai Stock Exchange has been in existence since November 26, 1990 and commenced operations a little over three weeks later on December 19th. 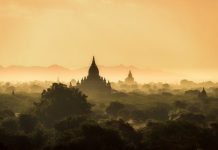 The exchange is not only the largest in emerging market countries, but is also the fourth largest in the world according to World Federation of Exchanges. It only trails the NYSE Group, NASDAQ, and the Japan Exchange Group. 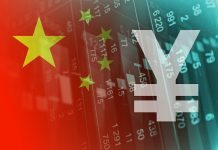 According to exchange data, the annual turnover for 1991 was 4.6 billion renminbi, or a little less than $850 million according to the then prevailing exchange rate. The average daily turnover was 18 million renminbi ($3.3 million). By the end of 2016, the annual turnover had zoomed to 50.2 trillion renminbi. This converts to $7.2 trillion according to the exchange rate prevailing at the end of last year. The average daily turnover last year was $29.6 billion. This translates to 83% annualized growth in both annual turnover and average daily turnover over the past 15 years. In 1990, there were only 8 companies listed on the exchange, a number which had stood at 1,182 at the end of 2016 and stands at 1,329 presently. The exchange has 1,373 listed stocks, 110 listed funds, and 6,616 listed bonds. 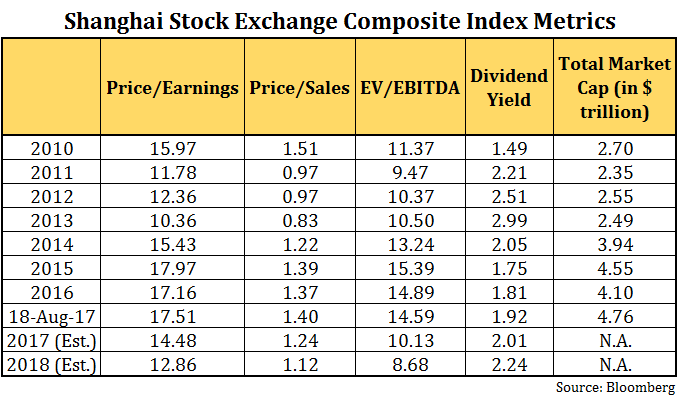 The table above lists some important metrics related to the benchmark index – the Shanghai Stock Exchange Composite Index. The Shenzhen Stock Exchange was established on December 1, 1990 and is the second largest exchange, not only in China, but in the emerging markets universe as well. 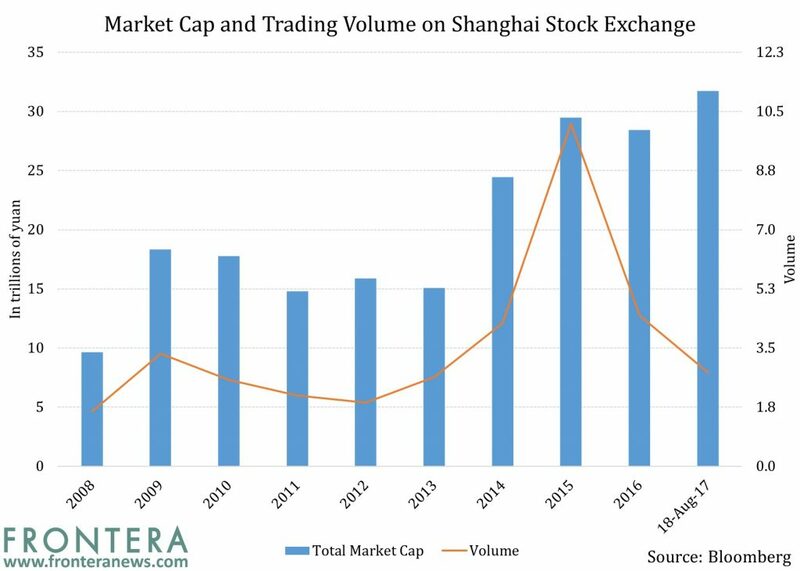 Behind the Shanghai and Euronext exchanges, it is the sixth largest exchange in the world, edging out Hong Kong Exchanges and Clearing. Alike Shanghai, the Shenzhen Stock Exchange has witnessed phenomenal growth. 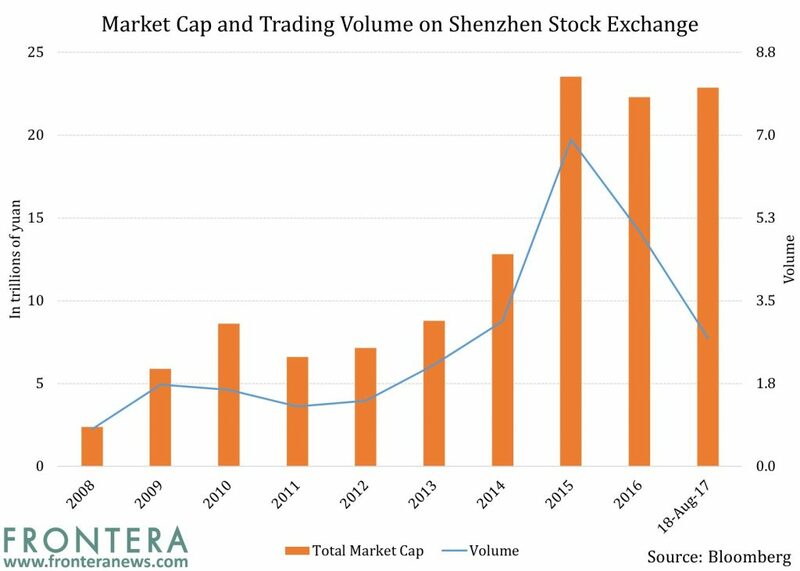 In the past 10 years until 2016, the exchange has seen its market cap surge from 1.8 trillion renminbi ($228 billion) at the end of 2006 to 22.3 trillion renminbi ($3.2 trillion) at the end of 2016. While 579 companies were listed on the exchange at the end of 2006, the number had zoomed to 1,870 at the end of 2016 and stands at 2,024 presently. 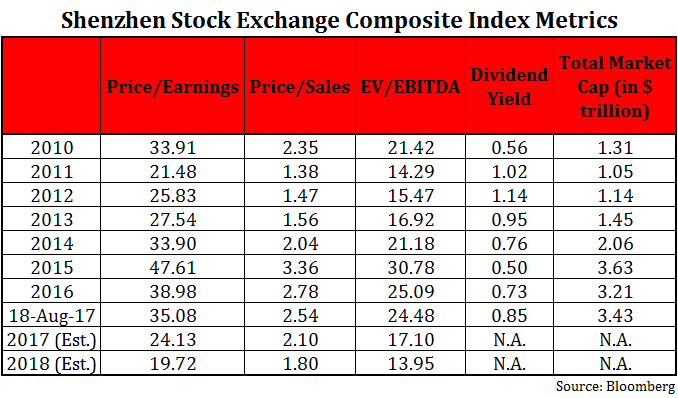 The table below displays some key metrics of the benchmark index: the Shenzhen Stock Exchange Composite Index. In order to make its securities more available, China linked the markets of Hong Kong and Shanghai in 2014 via the Shanghai-Hong Kong Stock Connect program. In 2016, the country launched the Shenzhen Stock Connect program, thus providing access to its second biggest stock market. 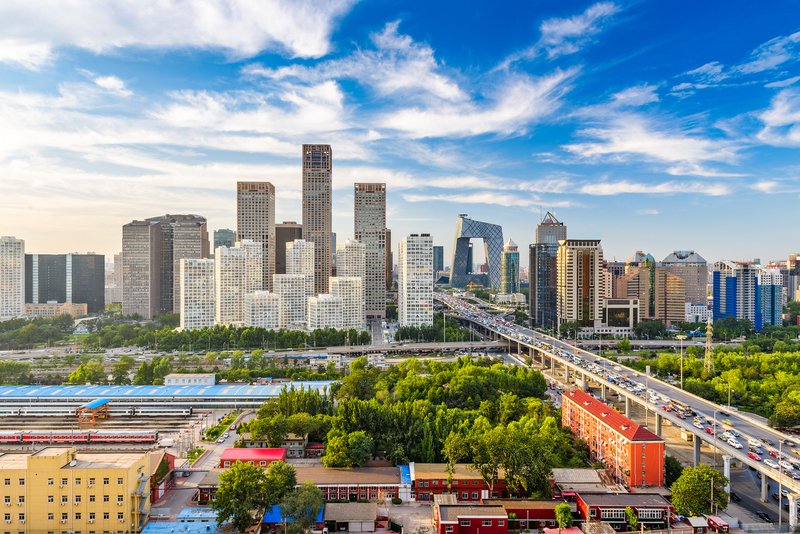 Investors do not require a license to buy Chinese stocks via these Connect programs and are not subject to quota restrictions.